One of the most talked about bands of the last few years, Fallujah made waves when they released the 2014 monster The Flesh Prevails. It wasn’t that they were the first band to infuse atmosphere into a death metal structure to generate emotion and feelings, it’s that the way that did it was so fresh and intriguing. Riding the deserved hype train all the way to a signing with Nuclear Blast, the band has (somewhat) quickly returned with their follow-up, Dreamless. With their third full-length, Fallujah cements the idea that they have developed their own sound and are willing to take it in new, yet familiar directions. They have established a sound that is distinctly Fallujah, which is quite a feat for a relatively young act. The moment that the guitars pick up on opener “Face of Death,” there’s an instant identification there. But fear not, this isn’t The Flesh Prevails Part II. The band has really honed in on the ebb and flow of the music, which feels even more seamless than before. It feels a bit darker and more frenzied off the bat, with “Adrenaline” providing a visceral mood that is only slightly offset by the gorgeous leadwork. Tracks like “Wind for Wings” and “Abandon” show a more rounded effort, with a blend of ambiance, serenity melodies, and the crushing weight of the riffs. The former using some guest cleans from Mike Semesky to further up the melodic sensibilities. There’s also some further experimentation with electronic ambiance, with “Les Silences” and “Fidelio” providing some mellower segments for the listener to take a break. “The Void Alone” brings us to the other dimension Fallujah has fidgeted with – female vocals. Taking the slightly more abrasive touch of the new material and contrasting it with ethereal melodies (and equally ethereal female vocals) creates a dynamic that is simply intoxicating. The floaty title track uses these vocals wisely as well, adding a sense of grace to the music. The 55-minute runtime allows the music to really breathe and flow freely from blistering heaviness to sweeping melody in a natural flow. Fallujah truly understands how to blend together feelings and let them resonate over a transition. 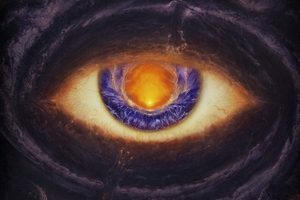 Check out the movements between the more traditional death metal feel of “Lacuna” and how it shifts into an atmospheric center with female vocals and finishing off the album with a melodic lead over a more frenetic feel. Cementing the case for death metal as art, listening to Dreamless creates an emotional impact more meaningful and lasting than sheer adrenaline alone. There’s no denying the intricate playing and deathly core, but what makes Fallujah special is that sense of awe that they generate at the same time. There’s a sense of wonder and mystery that is unparalleled when compared with other bands in the genre. 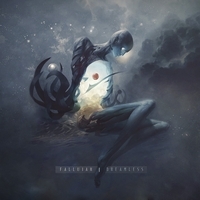 Dreamless provides the proof that Fallujah is in it for the long-term as innovators, and deserving of the accolades being thrown their way.